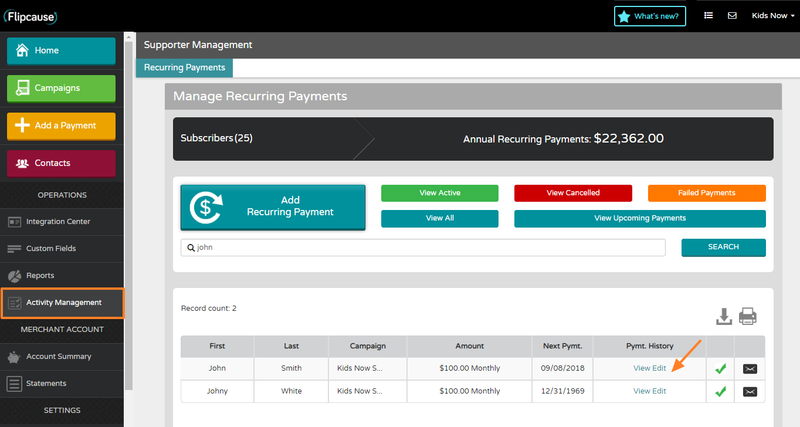 If you need to cancel a recurring donation, go into Activity Management and find the donor’s recurring transaction by searching for their name in the search bar. Once you have found their transaction, under the Pymnt. History column, click View Edit. 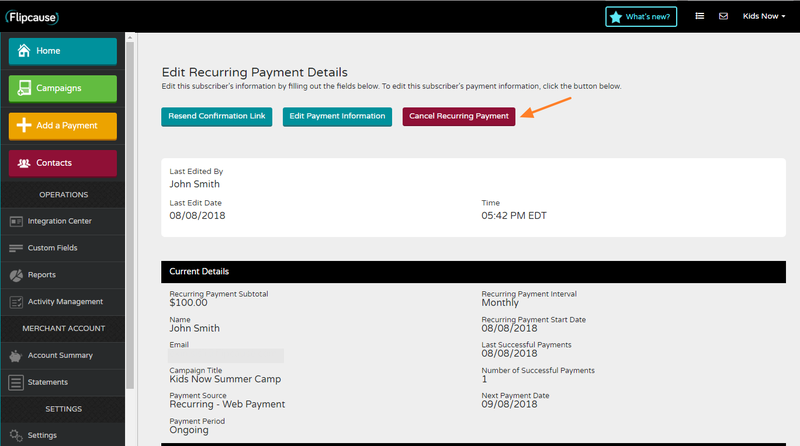 On the Edit Recurring Donor page, click the “Cancel Recurring Payment” button. A pop-up will appear, asking if you are sure you wish you cancel the donor’s recurring donation. To confirm that you want to cancel the recurring donation click “YES, cancel recurring donations." Your supporter will receive an email confirming that their recurring donation has been cancelled.